Cup hooks make organizing kitchens easy! 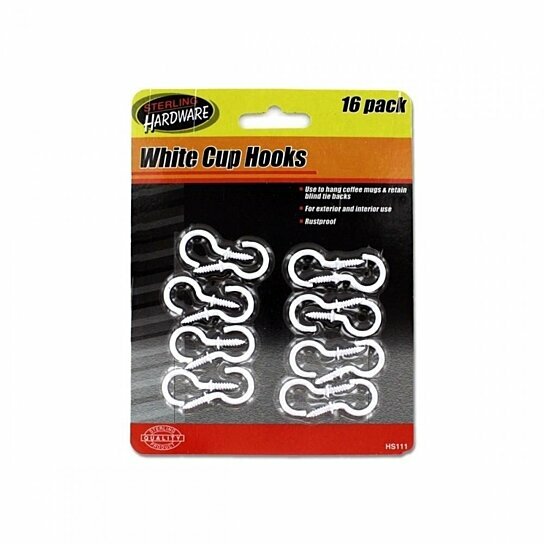 These 16 cup hooks are great for hanging ceramic mugs, plastic mugs or other utensils that have a hanging hole. They are for interior or exterior use and rustproof. Comes packaged on a blister pack with hanging hole. Hook area measures nearly 1" x 1" with the screw measuring almost 1/2".